Canada’s senior population is exceeding the number of children and the fertility rate is low. With a population just over 36 million and close to the same land area of the USA, which has 323 million residents, there is plenty of room, and need, for new residents. Canada has a number of thriving sectors, including technology and fintech, which is causing high demand for very skilled labour. Tradespeople, engineers, doctors, managers and healthcare professionals are all in high demand across every Canadian province. There are currently nearly 350 eligible occupations which will allow applicants, who also meet the entry criteria, to apply to live and work permanently in Canada. If you live in the US, job hunting in Canada should be a simple process. 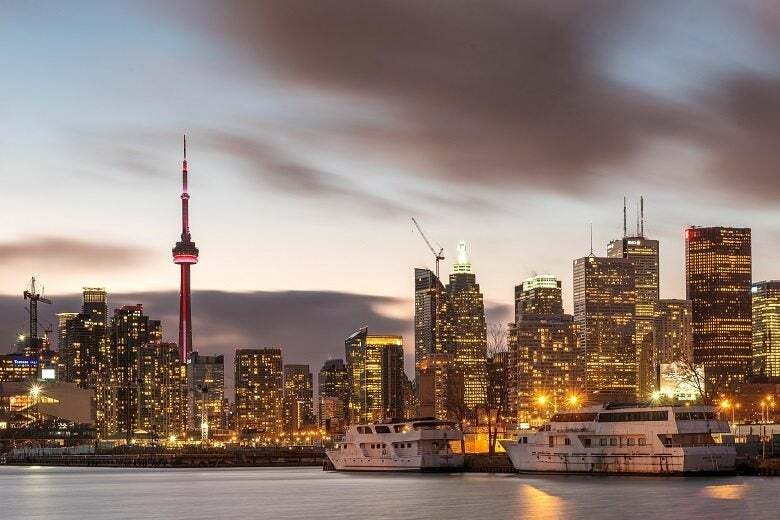 Though you will start your job search online, and may have your first interviews over the phone or internet, you may then find you are able to visit Canada for any job interviews. You will usually need a work permit to take a job in Canada. To work on a temporary basis in Canada you will need have a job offer from a Canadian employer. Your employer must have a Labour Market Impact Assessment (LMIA). You will usually be granted an employer-specific work permit which details the employer you will work for, how long you can work, and the location. There are special work permits for live-in caregivers, business people, and agricultural workers. Express Entry for Canada is a points based immigration system. You are awarded points for certain factors including your skills, education, language ability and experience. Additional points are awarded for a job offer from a valid employer or a nomination from a Canadian province. If you have a qualifying number of points you are eligible to enter a draw. The federal government frequently chooses candidates over a certain points threshold who are then invited to apply for permanent residency. Each of the 11 provinces of Canada operate their own immigration programs. Some run alongside the federal schemes and some are independent. They will depend on the labour market in each province and the skills which are in demand there. Some of the Provincial Nominee Program (PNP) criteria can be very favourable and they are well worth investigating. There are a wide range of immigration schemes and work visa’s available for Canada. Read our guide to Living and Working in Canada (link) and visit Canada’s federal government website for the full eligibility criteria and requirements for moving to, and working in, Canada. Canada’s rate of unemployment is 6.3%. Statistics for the 2nd quarter of 2017 reported 460,000 job vacancies in Canada, up nearly 20% from the same period in 2016. British Columbia, Quebec and Ontario all contributed to the increase, with many new job vacancies. No surprise considering the technology, and professional sector boom in Vancouver, British Columbia, and Toronto, Ontario. In Quebec job vacancies have grown in the construction, information, mining, and oil and gas sectors. In British Columbia, as well as technology and professional skills in demand, there is also high demand in the services sector, and in construction. For Alberta the mining, oil and gas, construction and manufacturing sectors are all creating job vacancies. Though Alberta’s mining and oil and gas sectors see peaks and troughs, consistently, the region is a major location for skilled tradespeople to relocate to. A thriving fintech and entrepreneurial centre, supported by established services and other sectors, now the real estate industry is booming too. Multicultural and media oriented Toronto is just an amazing all-round place to live. Vancouver is the “Silicon Valley” of Canada, with some of the big names in technology making their home in the thriving oceanside metropolis and creating many professional vacancies. Property prices are high however. The city in Alberta, just to the east of the Rockies, has the highest median family income in Canada. Calgary has long been an economic hub serving the valuable oil and gas, and mining industries to the north. Known for it’s old-English style, retirees and tourist industry. Victoria also has a growing technology scene as professionals and businesses from Vancouver move to the Vancouver Island location in search of lower costs. The second largest city in Alberta, Edmonton serves the massive oil, gas, and oil sands reserve based industry in Alberta. It’s nicknamed the “Oil Capital of Canada”. Taxes in Alberta are low making it an attractive destination. A Manitoban provincial city, Winnipeg dropped in all round ratings due to the oil shocks of 2016. However, the industry is resilient and Winnipeg is recovering with the number of vacancies in the city rising. In Saskatchewan, Saskatoon, the economy is diverse, from technology and finance to skilled trades and construction. The cost of living is low making it a popular choice. Nova Scotia has some encouraging immigration streams to facilitate movement to the province. Halifax is the capital of Nova Scotia and sits on the Halifax Harbour. It has a moderate climate for Canada, and is a major economic centre for the region. Job hunting in Canada is straightforward and predominantly online with many employers using the big job websites like Monster, Indeed and the federal government’s own Job Bank. Job Bank is a great place to start your search as employers who are reporting skill shortages and looking to hire foreign candidates must post their jobs at Jobs Bank to meet government criteria. LinkedIn is also an excellent place to build your Canadian job hunting profile, connect with potential employers, and find vacancies. Whether you are applying online, or via email or post, a good resume is essential. Canadian resumes are usually produced in a certain format, with a professional/career summary first, then work experience and then education. There is an excellent guide at Moving2Canada. If you are not able to travel to Canada for a detailed interview, you might find yourself being interviewed online or via Skype. It’s important you approach this in the same way as an in-person interview. Dress professionally, thoroughly prepare, research the job and employer, and ask prudent questions.